Twenty-three-year-old British welterweight John Hathaway has made a big splash in the welterweight division. But Mike Pyle is not impressed. Pyle, who meets Hathaway (14-0 MMA, 4-0 UFC) at UFC 120 as a replacement for injured Dong Hyun Kim, says his young opponent is in over his head this time. “I will beat the [expletive] out of John Hathaway,” Pyle (20-7-1 MMA, 2-2 UFC) recently told MMAjunkie.com Radio (www.mmajunkie.com/radio). 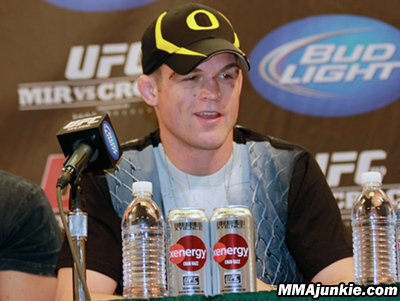 The undefeated Hathaway earned a fourth consecutive octagon victory and took a huge step in his career when he routed former lightweight contender Diego Sanchez at UFC 114. But the deck was stacked in his favor, according to Pyle. The Brit had advantages in height, reach and weight. There won’t be any such advantages when Pyle gets his hands on the youngster. “I’m a big welterweight, (and) I’m a long welterweight,” he said. “[Hathaway has] fought a lot of shorter opponents. He’s had a reach advantage, and he’s been able to use that really well. He stayed away from actually having to get in a fight with [Diego]. If Pyle sounds a little more fired up for this fight than others, it’s for good reason. He’s been in the fight game for 11 years and faced many who went on to become huge stars in MMA. Some he beat, and others he didn’t. But the respect he garners from those who have trained with him is almost universal. They speak of a guy who’s a beast. A guy with amazing submission skills. A guy who chews up and spits out training partners without regard to size. And also, a guy who has a hard time putting it all together when the chips are down. Pyle delivered in his most recent performance when he submitted Jesse Lennox with a triangle choke at UFC 115, a move that appeared destined for a performance bonus before Mirko “Cro Cop” Filipovic rained on the parade by tapping out Pat Barry in the co-main event. But he’s still trying to find traction in the ocean-deep welterweight division; Pyle’s current UFC win percentage stands at .500 with wins over Lennox and Chris Wilson and losses to Jake Ellenberger and Brock Larson. Naturally, Pyle says he’s going to be better fighter come Oct. 16, when the two meet at The 02 in London, and he’s going to show fans what they’ve been missing. If Hathaway wants to stand and trade, he says, no problem. “I don’t really care. It’s not an, ‘Oh my god, if I don’t get this kid down, there’s nothing I can do (situation),'” Pyle said. “I could knock the kid out. I almost knocked out the last dude. That doesn’t mean that Pyle won’t have a little fun in London. He’s looking forward to the boos that are likely to welcome his arrival as an American on British soil, and he’s planning something special for his turn as a heel. He won’t say what it is, but he hints at something patriotic. That attitude will surely make a splash across the pond. Martin Kampmann is fighting Alexander Barros Jan 17-09 on the UFC 93 card in Dublin. The event will be broadcast on PPV at 10 pm ET or live at 3pm ET. Martin Is 13-2 and has gone 4-1 in his career for the UFC. Martin is known for his explosive kickboxing and has solid ground skill. 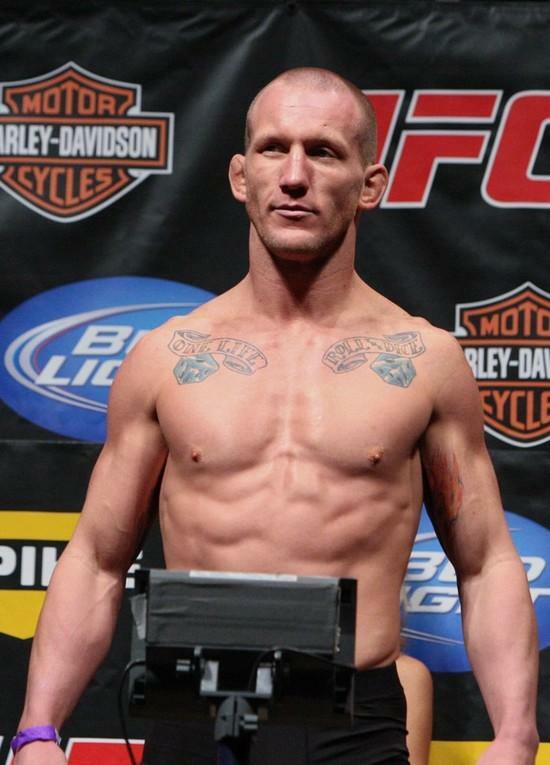 While being known as a striker he has finished 3 of his opponents in the UFC by submission. Martin is also making his debut at welterweight (170 lbs). His opponent Martin Barros 13-5-0 is a south paw, accomplished grappler and a product of Gracie Barra. This will be Barros’s debut in the UFC.